The National Green Tribunal (NGT) on Friday fixed September 4 as the next date of hearing of the Subansiri Lower Hydropower project case, The Assam Tribune reported. “After hearing, the judgment was reserved. However, it has not been pronounced within a month. Hence, it is released from being reserved and listed to be re-heard on September 4,” Justice Jawad Rahim (Judicial Member) and Satyawan Singh Garbyal (Expert Member), said in a ruling on Friday. The case at NGT was filed by Assam Public Works (APW) and Tularam Gogoi. 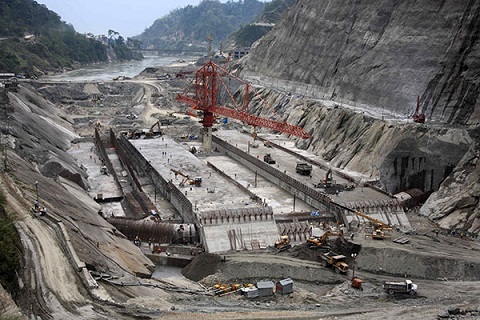 The NGT had on April 18 directed the Ministry of Environment and Forest (MoE&F) to consult all sides and revert back to it over the objection raised over validity of the expert committee members constituted to look into the 2000 MW Subansiri (Lower) hydel project. According to Aabhijit Sharma of the APW, a three-member Bench of the NGT, comprising Justice Dr Jawad Rahim, Justice RS Rathore (both Judicial Members) and Justice Dr Satyawan Singh Garbyal (Expert Member), after hearing their counsel, directed the MoE&F to consult all sides and resolve the objections and inform the Bench. Sharma said that they had objected to the validity of two expert members – ID Gupta and PM Scott – alleging conflict of interest because they were with Government of India and were part of the decision to construct the dam. The MoE&F-constituted three-member expert committee comprises Dr Prabhas Pande, Dr ID Gupta and PM Scott (Northeast). The expert panel was set up by the Kolkata branch of the NGT, which has been challenged by the APW, a petitioner in the big dam case.